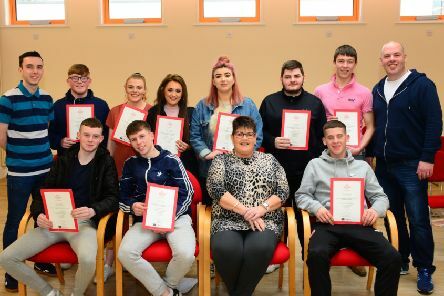 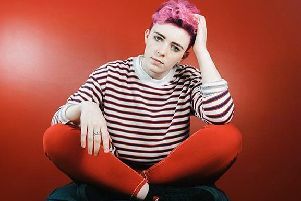 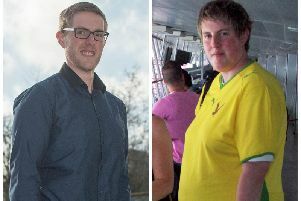 North West Regional College has released details of a 12-week programme being run in 2019, aimed at boosting the employability skills of young people. 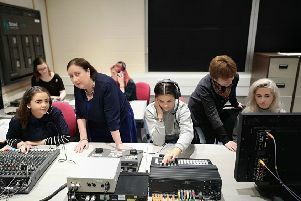 North West Regional College (NWRC) is inviting local people interested in forging a career in the STEM industries, to a free event at their Strand Road Campus on Friday March 22, at 10.30am. 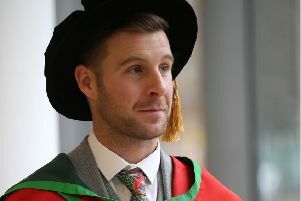 Four-time World Superbike champion Jonathan Rea has received an honorary degree for his outstanding contribution to sport. 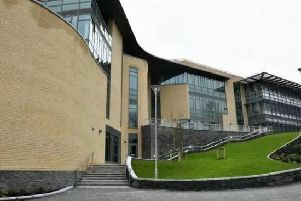 The vice chancellor of Ulster University has given an assurance that the university “will not be implementing bilingual signage” on its campus facilities. 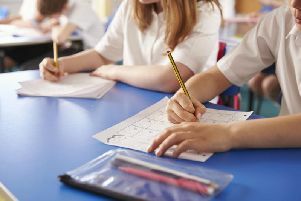 The top-performing schools in Northern Ireland are revealed in ‘Parent Power, The Sunday Times Schools Guide 2019’, published in The Sunday Times and online this Sunday, November 25. 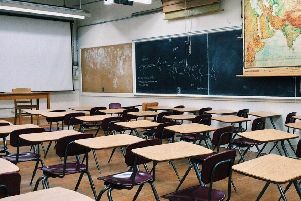 The Young Unionists – the youth wing of the UUP – have voiced their opposition to proposals for the erection of Irish language signs at Ulster University, branding the move a “political stunt” that will “further dissuade unionists” from studying there. 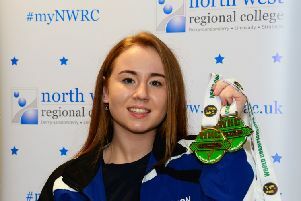 A sports student from North West Regional College (NWRC) has won her ninth successive gold medal in kickboxing, competing at the World Championships in Dublin. 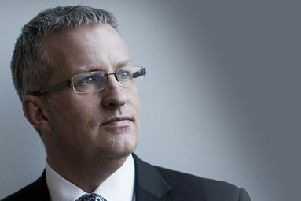 Ulster University’s plans to open a new medical school in Londonderry have been put on hold until September 2020 because of the ongoing political stalemate at Stormont, the university’s vice chancellor has said. 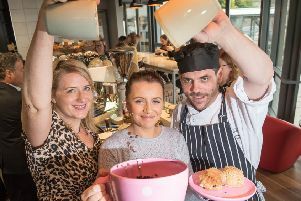 A brand new coffee shop which also doubles up as a teaching space for Barista training, has officially opened at NWRC. 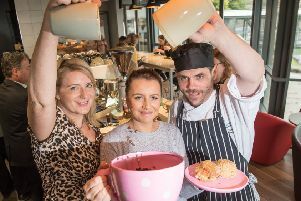 A brand new coffee shop which also doubles up as a teaching space for Barista training, has officially opened at North West Regional College (NWRC). 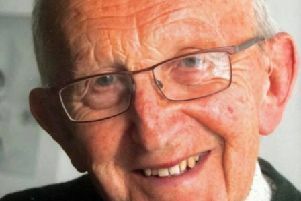 Hugh Wishart Gillespie BA, who died on August 27, was the former headmaster of Foyle College. 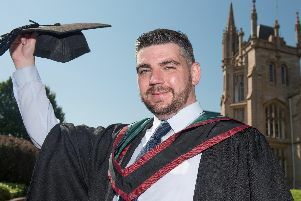 Follow in the footsteps of North West Regional College’s successful alumni and enrol today. 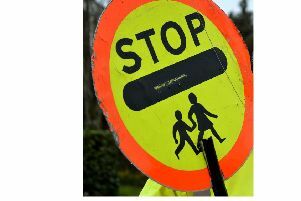 The Education Authority (EA) has given an assurance that school crossing patrols will be in operation when children across Northern Ireland return to school in the coming days. 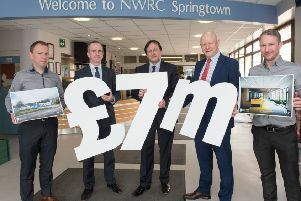 North West Regional College has announced that the Department for the Economy has approved funding to enable its Springtown campus in Londonderry to commence a multi-million redevelopment later this year. 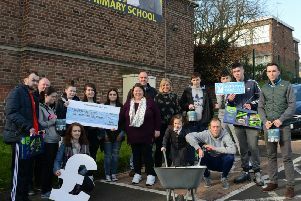 Students taking part in North West Regional College’s 12 week Prince’s Trust Team Programme have raised £250 for a new sensory room at Model Primary School.